On the first Pentecost, signs and wonders accompanied the giving of the Torah at Mount Sinai. There was smoke, fire, and cloud on the mountain. As believers become aware of the observance of the festivals, they are always blessed and delighted by Shavuot. The church holiday they once knew only as a remembrance of Acts chapter two is actually a biblical appointment filled with a wealth of meaning and symbolism. The Torah commands us to count the days of the Omer. On the day after the Sabbath during the week of the Festival of Unleavened Bread—the day on which the first fruits of the barley were harvested and offered up in the Temple—we are commanded to begin a countdown to the next festival.1 We are told to count forty-nine days, and upon their completion, the fiftieth day is the appointed time of the Festival of Pentecost. Both the English and Hebrew names for the festival reflect this counting. The English name, Pentecost, is from the Greek equivalent of ïfiftieth day.’ The Hebrew name for the festival is Shavuot, which means weeks. It is so named because of the seven full weeks (forty-nine days) of counting. The counting is a chain that links the Festival of Unleavened Bread to Shavuot. In this sense, Shavuot concludes the festival season that began with Passover. We can imagine the disciples and followers of Yeshua of Acts chapter two joining into this First Fruits procession. The Shavuot festival already carried particular significance for them because it was exactly fifty days after the Messiah had resurrected. He was the First Fruits of the Resurrection.4 In fact, the disciples and followers of Yeshua were themselves the First Fruits of Messiah’s ministry. On Shavuot, 3,000 more were added to their number, and the great harvest of souls began. As with Pesach and the Feast of Unleavened Bread, Shavuot is a memorial of an Exodus event. Pesach is a remembrance of the slaying of the Paschal Lamb; the first day of Unleavened Bread is a remembrance of the Exodus from Egypt and Shavuot is a remembrance of the giving of the Torah at Mount Sinai. Likewise, Jewish tradition has sought to attach significance to the other Spring Festival dates. The seventh day of Passover, according to these traditions, remembers the crossing of the Red Sea. The Counting of the Omer is regarded as a remembrance of the intervening days between the Exodus from Egypt and the revelation at Sinai. Therefore, Shavuot became known as the anniversary of God’s appearance at Mount Sinai. It is thus celebrated as the anniversary of the giving of the Torah and in Hebrew is also called the festival of Mattan Torah (the Giving of the Torah). 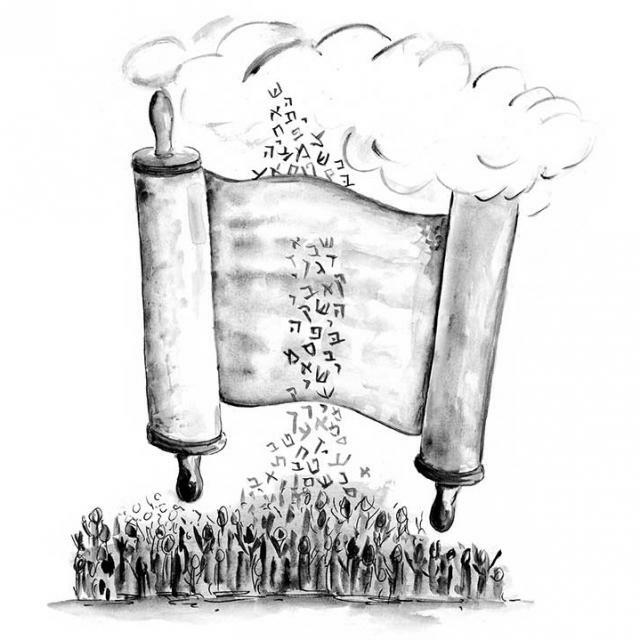 The principal Torah readings in the synagogue on Shavuot are Exodus 19 and 20—the story of the giving of the Ten Commandments and the Covenant at Sinai. As the disciples of the risen Messiah gathered to celebrate Shavuot in Jerusalem, they were also gathering to celebrate the anniversary of the Giving of the Living Torah. On the first Pentecost, signs and wonders accompanied the giving of the Torah at Mount Sinai.5 There was smoke, fire, and cloud on the mountain. The mountain trembled and the blast of a shofar sounded louder and louder. The voice of God was audibly heard by the entire nation. According to Midrash,6 the giving of the Torah at Mount Sinai was accompanied by additional wonders, two of which are significant to our reading of Acts chapter two. Whether or not these traditions preserve actual historical memories of the Mount Sinai experience is not important. What is important to remember is that the disciples and followers of Yeshua were all well aware of these Shavuot midrashim. They knew the story of the giving of the Torah at Shavuot. They knew the story of the words of fire resting on each individual at Shavuot. They knew the story of God’s voice speaking to all mankind in every language at Shavuot. Therefore, the miracles and signs and wonders they experienced in Acts chapter two, carried deep significance and prophetic fulfillment. The tongues of fire and the speaking in every tongue were both direct allusions to the Mount Sinai experience and to the receiving of the Torah. 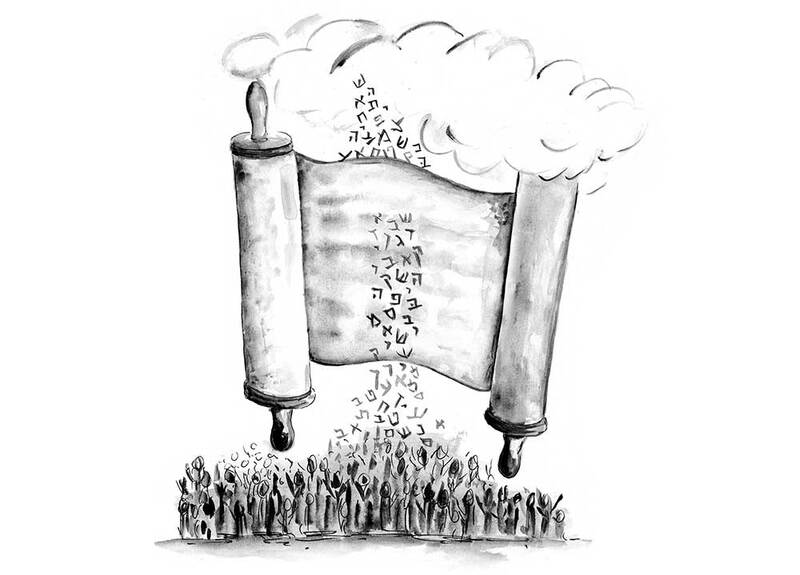 God was underscoring a connection between Ruach HaKodesh and His Holy Torah! According to these prophets, Ruach HaKodesh was given in order to place the Torah within the believer’s heart. If that is true, then the Spirit within us and the Torah of God must agree. It can then be asserted that the purpose for the presence of Ruach HaKodesh in the lives of believers is to enable us to walk in the statutes and to observe the ordinances of Torah. The Spirit and the Torah are not, God forbid, opposed to each other! Instead, as Paul says in Galatians, "Opposed to the fruit of the Spirit there is no Torah. "12 Ruach HaKodesh originates from the same essence as the Torah: the full expression of God, dwelling within human hearts, so that He might be our God, and we might be His people. That was the stated purpose of the first Shavuot at Mount Sinai. It was the purpose of the Shavuot recorded in Acts chapter two, and it remains the same purpose for which we participate in Shavuot celebrations annually to this day. We have been created anew. 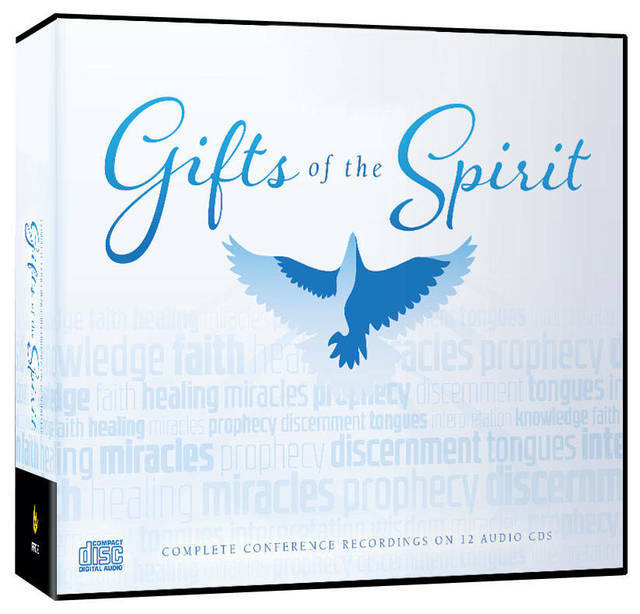 We have the gift of the Spirit of God dwelling within us, and are now enabled to walk in the statues and to observe the ordinances of Torah! Midrash is a traditional Jewish interpretation of Scripture. Weissman, Moshe, The Midrash Says: Shemot, Brooklyn: Bnay Yakov Publications, 1995. In Rabbinic lore, there are 70 mother languages. Adapted from: Bikurei Tziyon #64, First Fruits of Zion, 2000, written by D. Thomas Lancaster.